A bookmark for children to use when learning about common digraphs and blends. Ideal to use as a bookmark during independent and guided reading and writing activities as a reference for children when learning phonics to read and write. Print and cut in half to create two bookmarks. Fold each bookmark in half then laminate. Provide each child with their own bookmark. Encourage children to refer to their bookmarks when reading and writing new words, or when identifying words with the same digraphs and blends. What’s next? 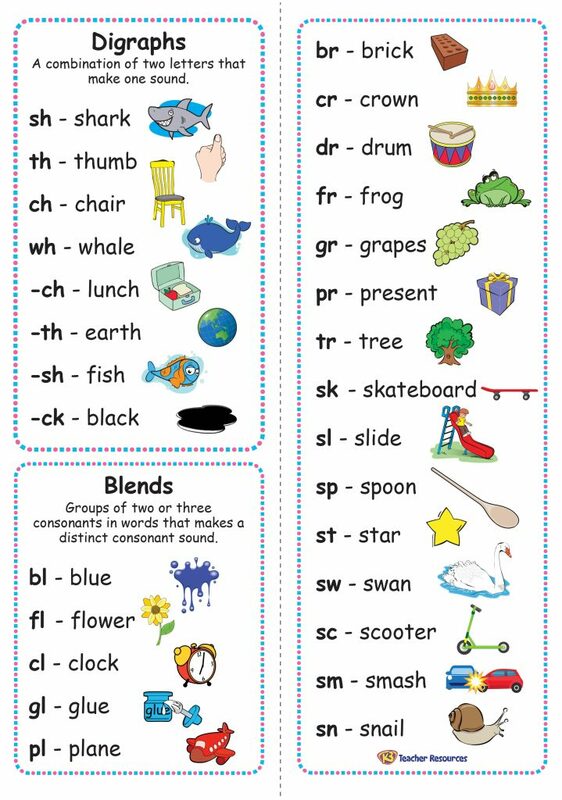 – As a class, focus on a different digraph or blend each week during phonics lessons and create a class list or word wall with words of the same digraph or blend.